And this event is where you need to be if you share our love for poetry. Join for exciting performances and poetry recitations, in a location perfect for poems. 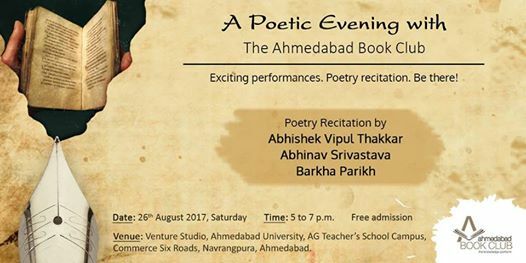 With enthusiastic poetry recitations by Abhishek Vipul Thakkar, Abhinav Srivastava and Barkha Parikh, you simply can’t miss this event!